Consumer-Directed Health Plans (CDHP) and "full replacement"; are those words that make you uneasy? You've read about them, you're watching companies of all sizes and industries adopt them, but you just can't seem to get over the hassles of implementing one. You have listened to your fellow colleagues - the phone calls, the plethora of provider bills to employees, inappropriate use of debit cards, confusion about payment at the time of service, no member tools for comparison, no transparency at the point of service, and no Health Saving Account (HSA) savings to pay bills. The hassles are over. Imagine a solution that eliminates all of these drawbacks. The current literature demonstrates that CDHPs work. The recent data from Employee Benefit Research Institute shows that the number of lives enrolled in a CDHP increased last year and represents about 12 percent of the market. This trend will continue to increase as larger employers like JP Morgan Chase, Well Fargo and some of the major carriers move to full replacement CDHP. The list of big companies going full replacement and avoiding adverse selection is growing. These companies are the "who's who" of American business, and they are saving enormous amounts of dollars in direct medical costs. If these companies implemented their plans correctly, they could save enough tax dollars to subsidize their entire medical payments for one fourth of the entire plan year. Most employers have gone full replacement because they were compelled to do it for bottom line reasons. The literature supports that employees on a full replacement CDHP change their health behaviors, become better consumers of healthcare (41-48% less in claims payments) and are able to save money. A full replacement CDHP will not magically remove disease from your population, but those with health risk factors are smarter about maintaining their chronic health condition so as to not get worse. According to Dee Eddington, the first step in achieving healthcare affordability is to take action to get better and not "get worse". A CDHP is the action necessary to assist employees with becoming accountable and responsible for their health so they do not get worse. CDHPs create a culture of consumers who seek appropriate medical care and services when it is necessary. In the end, employers can't make employees healthy only employees can make themselves healthy; it starts by converting your benefit plan to a full replacement CDHP. What's the driving force for change? Financial wellness. Employees on a CDHP learn to pay themselves with tax savings and tax free distributions when they stay healthy. They learn quickly that their good health is converted to wealth.In today's economy, every penny counts and who couldn't use a couple extra thousand dollars in their bank account? A full replacement model with an HSA offers a proven mechanism for employees to earn a pay raise for health behavior change. 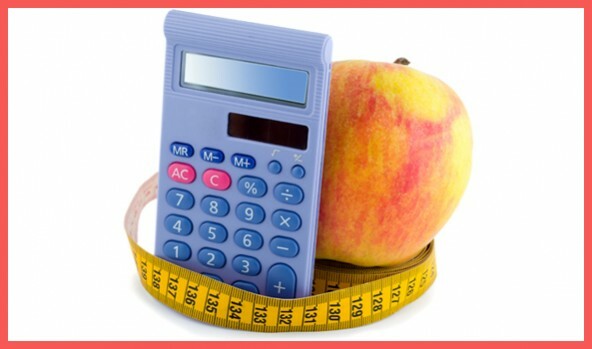 Health to Wealth calculators are now available to help employees calculate the economic value in terms of "cash returns" just for adopting healthy behaviors. These tools make it easy for an employee to visualize how fast the cash can add up. There are now ways to successfully - without pain - transition your employees to a CDHP/HSA. The key to a successful full replacement CDHP is to force savings in your employee's HSA accounts. Minimal savings do not work. Research shows that there's an inflection point at which behavior change becomes ingrained and that's when the HSA balance reaches $1,500 to $2,000 dollars. At that point, good health behavior comes in lock step with the cash savings in the HSA. The savings is logical. Take for example a 25,000 EE company that has only 2000 EE on a CDHP; the remainder on a traditional PPO plan. By going full replacement with the proper implementation this company will save $27 million each year in direct medical cost and $4 million each year in payroll taxes. The employees will save collectively $37 million in cash "after medical expenses" each year in their HSA accounts of which $19 million will be taxes not paid to taxing authorities. So, why are you waiting? A full replacement CDHP is a smart way to improve the health and productivity of your employees and impact the long-term health care cost of your company.